Unlimited group play and exercise! 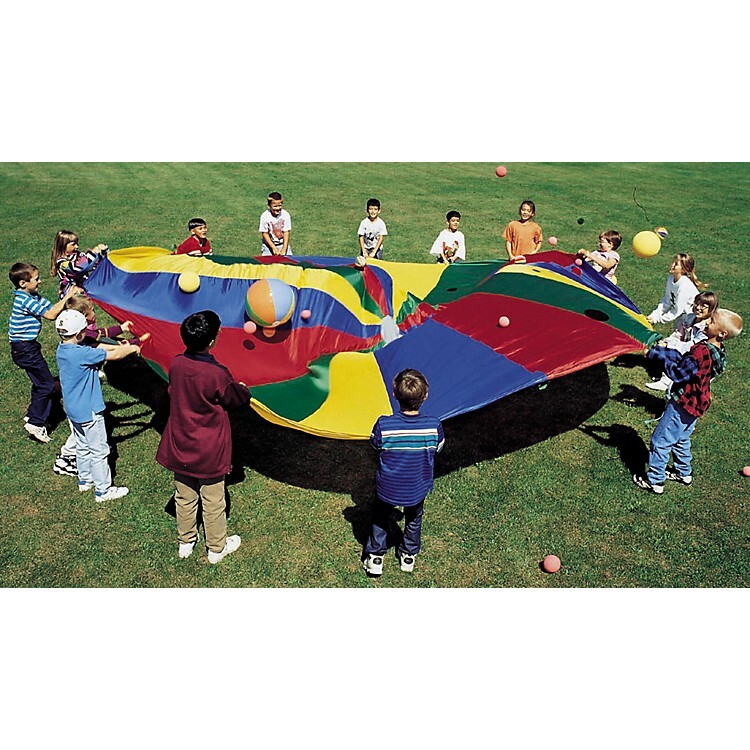 This 12' heavy-duty nylon parachute is multi-colored and it includes nylon handles. Reinforced at stress points. Great exercise including cardiovascular and upper body conditioning. Order today and get your kids into some big, bouncy fun!